Resin Horse Games launched their Kickstarter campaign in order to fund Dark Skies, their new aerial combat minis game. 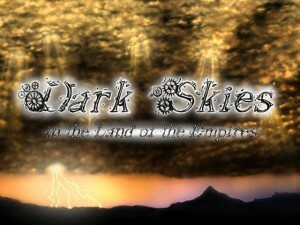 Dark Skies is an aerial combat wargame. In each turn both players move their miniatures, perform manoeuvres and attack each other measuring and rolling the dice. The miniature’s stand allow the miniatures go up and down representing 3 altitude levels, each level have its advantages and disadvantages.